On his first plane ride as a three-year-old migrating from Jamaica with his parents, Damar Walker had the opportunity to go into the Air Canada Boeing 747 flight cockpit. A month ago, the First Officer flew an Air Canada Rouge Airbus into Kingston – Jamaica’s capital -- for the first time as a commercial pilot. It was a very emotional moment for Walker whose passion for aviation was fuelled by that flight deck visit nearly three decades ago. This was the second time that Walker had flown into Jamaica. As a member of the Canadian Armed Forces for 12 years, he flew the CC-130J Hercules for a joint airshow with the Jamaica Defence Force on the Kingston Waterfront to celebrate Labour Day in May 2012. “In addition to participating in the airshow, there was a ground display that allowed me to interact with Jamaicans on the ground and demonstrate my skills and talent while letting them know I am a Jamaican who went abroad and got this amazing opportunity to become a pilot,” Walker noted. Having a father who is an aviation enthusiast helped Walker focus on his career path. Bishop Lennox Walker of Praise Cathedral Worship Centre in Mississauga often took his son plane spotting close to Lester Pearson International Airport. While attending the Ontario Universities’ Fair in 2002, Walker became aware of Western University’s Commercial Aviation Management (CAM) program which is a stepping stone to an aviation career. Students have the option of combining their four-year Bachelor’s degree with professional pilot flight training. CAM students graduating with the flight option receive a Bachelor’s degree in Management and Organizational Studies and a Transport Canada approved Integrated Commercial Pilot’s License (ICPL) with Multi-Engine and Instrument Ratings. These credentials allow them to act as professional pilots while being capable of assuming management responsibilities on the ground and in the air. In Canada, this type of aviation education is available exclusively at Western University. Just before his third year at Western, Walker joined the Regular Officer Training Program (ROTP) that provides young Canadians an opportunity to obtain both an officer’s commission in the Canadian Armed Forces (CAF) and an undergraduate degree. The Department of National Defence cover tuition, uniforms, books, instruments and other essential fees. Officer Cadets are paid a monthly salary (from which mandatory room, board and mess dues are deducted), undergo military occupation training, and if required, second language training during the summer months, and receive full medical and dental care at no cost. Annual vacation with full pay is granted according to CAF regulations. A year after completing his university degree in 2007, Walker graduated from the ROTP program, was commissioned to the rank of second lieutenant and started pilot training on the CT-156 Harvard II. 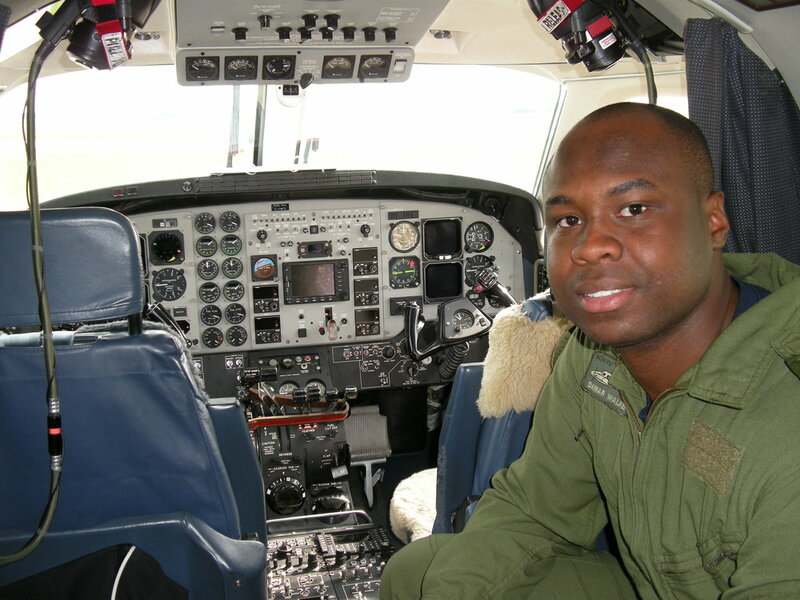 He did his multi-engine training in Manitoba and was selected to fly the Hercules in 2010 after earning his military pilot’s wings. The workhorse of the Canadian Armed Forces’ transport fleet, the CC-130J Hercules provides support to joint operations at home and overseas. The aircraft quickly and safely carry passengers, heavy equipment and supplies over long distances to support operations, or in response to crises such as natural disasters. As a Combat Ready First Officer, Walker flew throughout Canada and the United States and to several Caribbean, South American, African and European countries. Leaving the military in June 2017, he spent nine months with WestJet before joining Air Canada in March 2018. “Canada provided me with opportunity and Air Canada represents that opportunity,” he said of his decision to join Canada’s flag carrier and largest airline. “For me, Air Canada also represents the pinnacle of professional aviation in this country. Who wouldn’t want to work for what is considered the best airline in Canada? Outside of flying, Walker’s other interests are cooking, drumming and mentoring. Since 2012, Walker has been associated with the Urban Pilots Network that provides mentorship and scholarships for aspiring aviators.